The Milton Inn, a 278 year old field-stone building in Northern Baltimore County,is counted among Maryland's historic treasures. 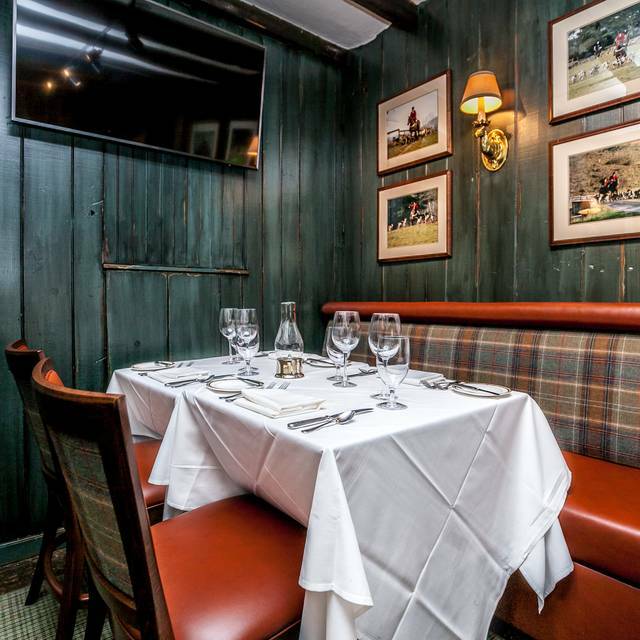 It is believed that construction of the Inn began in 1740 and it has grown and changed over the years to become one of the premier country dining spots in the United States. The tradition of excellence has continued to grow under the current ownership Milton Fare Inc, who purchased the business in 1997. 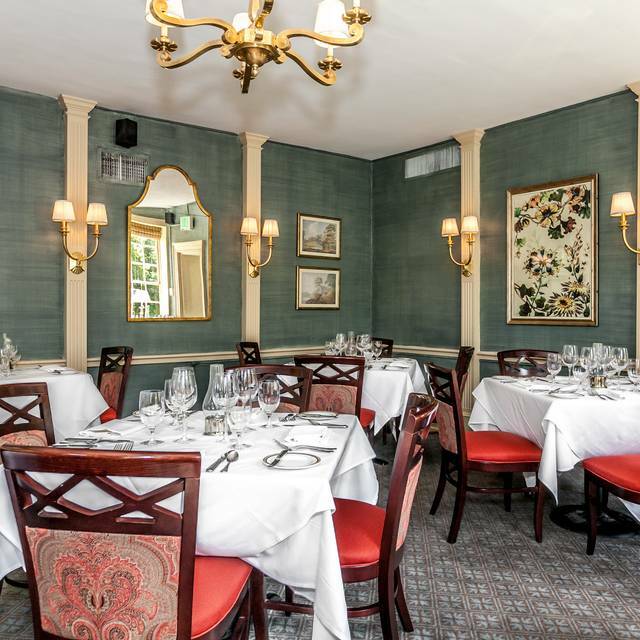 Executive Chef/Owner Brian Boston was named Chef of the Year by the Restaurant Association of Maryland in 2011.Chef Boston has also received many other awards including The Five Star Diamond Award by The Academy of Hospitality Sciences , The DiRoNA Award,and top ratings from Zagat. 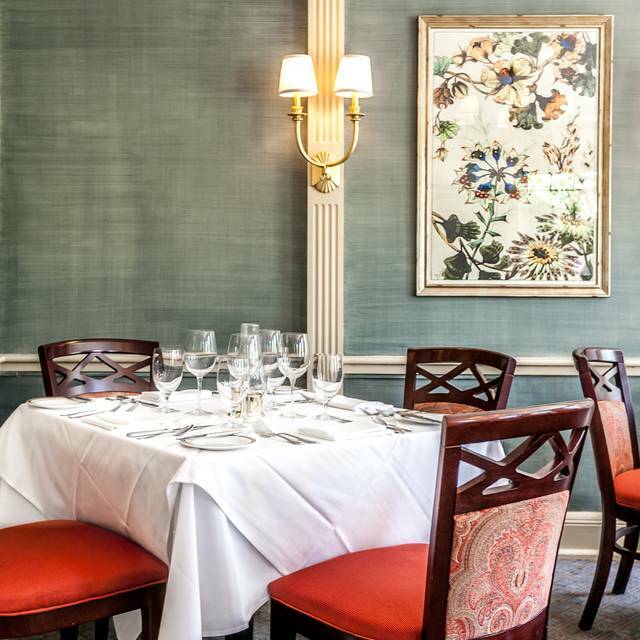 The Milton was named The Best restaurant in the Counties by The Baltimore Sun . 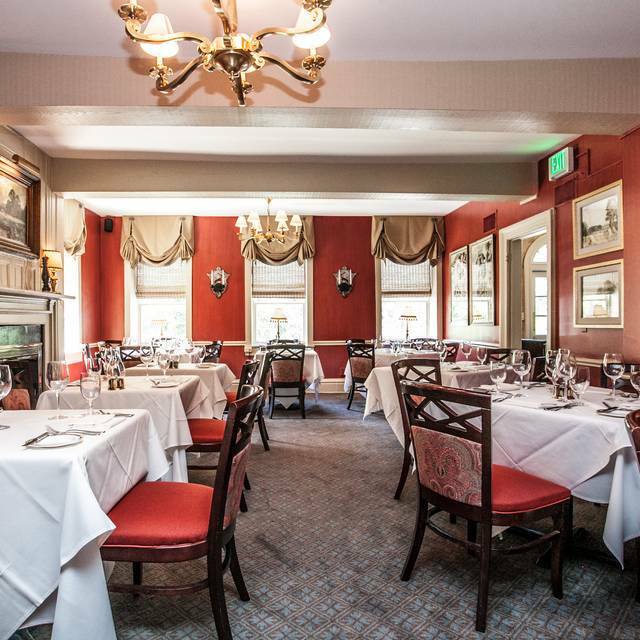 Over the years , the Inn has engendered a legacy of romance and numerous couples have become engaged in its candlelit dining rooms and open air garden terrace. Many return year after year to celebrate! They offer customized menus, serving 30-1000 guests. The Milton Inn offers catering services on and off premise from intimate parties of 10 to grand tented events up to 300 guests. We will make your birthday,anniversary,corporate event, wedding or any other milestone perfect. 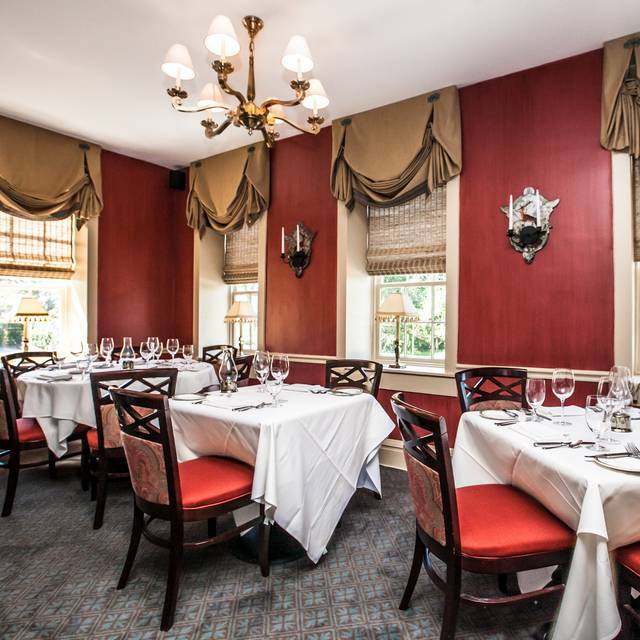 Whether you choose one of our beautifully appointed dining rooms,a tented event on our manicured grounds, or venue of your choice;The Milton Inn will provide you with the excellent food,service,ambiance and attention to detail you expect from a Brian Boston property. Great service and excellent pace between courses. Our dessert was personalized as it was my wife's birthday. I took my Mother to this lovely place this past weekend! Our brunch was amazing! The service was wonderful! Worth every penny! Cheryl was a very good waitress. Food was outstanding. Great ambience and history from 1730. We had rack of lamb (signature dish) 2 filets and a rib eye, all were delicious. Service was also very good. Pricy but worth it. 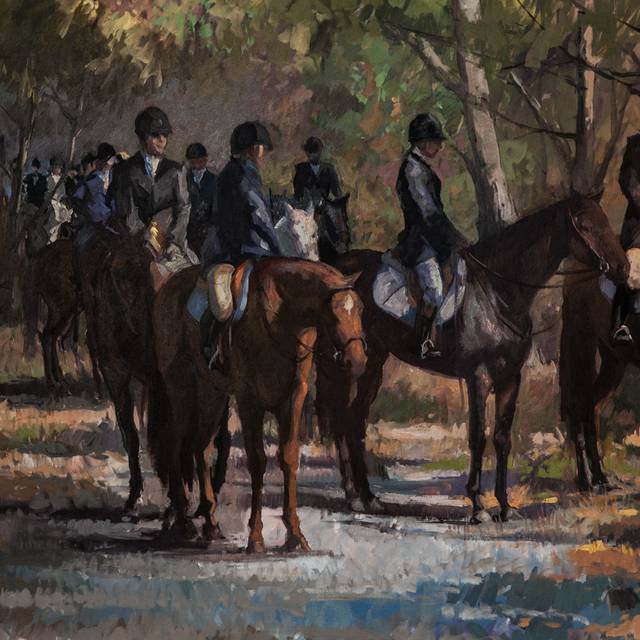 A Baltimore classic in Maryland horse country. You know what you’re going to get and they do it very well. 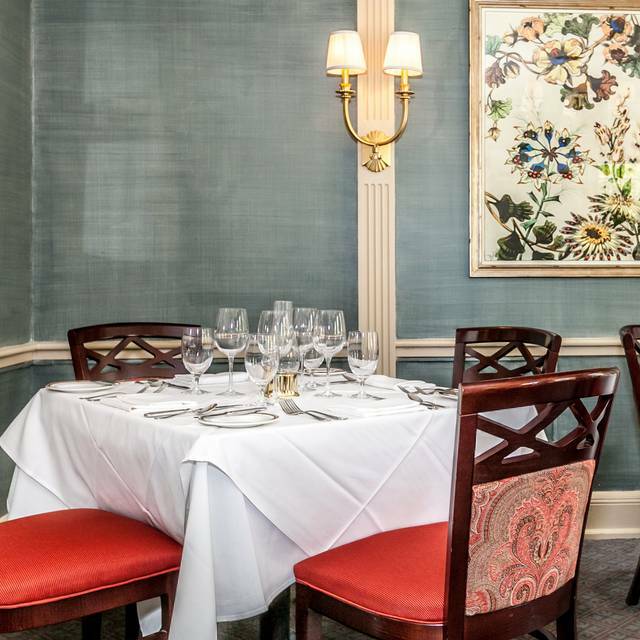 Attentive service, a broad wine list, and a quiet dining room. 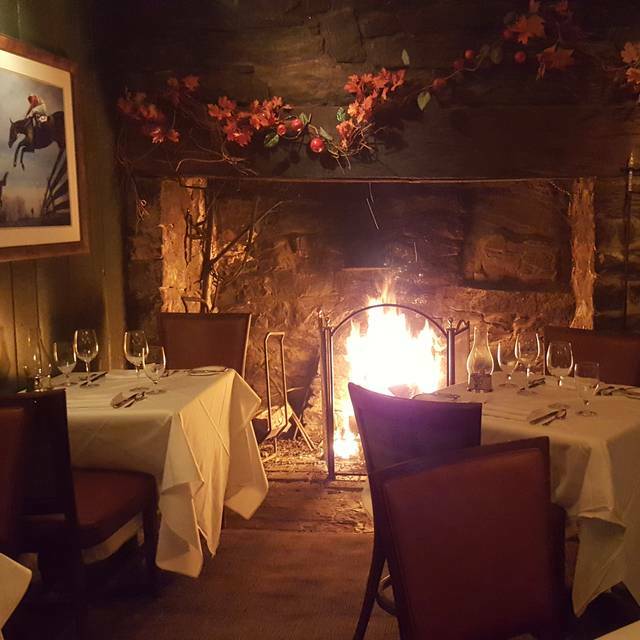 The Milton Inn, which is nearly perfect in every way, is our "Go-to" special occasion restaurant. It never disappoints! Delicious food and great service. Highly recommend! Outstanding dining experience! We throughly enjoyed it! I went there with my elderly parents for my Mom's birthday. We specified the 1740s lounge for the small plates. The portion sizes were perfect for us. The food, as always was delicious and the service attentive. They pour a decent drink, but their drink prices are on the high side. I love this restaurant and will continue to go there. Excellent food, very good wine selection. Great place for that special occasion. Meeting friends, sat in 1740 bar. Lovely dinner and fun ambience. great food. good for romantic special occasion.helpful attentive wait staff. Enjoyed our meals at the Milton Inn. Tom was wonderful on the wait staff. Nice selection of wines. Enjoyed ordering some of the meals from the small plate menu. Loved having the kitchen prepare sweetbreads by requesting them several days in advance. About two weeks ago, I called the restaurant and spoke to one of your staff, a young lady whose name I can not remember. I told the young lady that both my wife and I, as well as my brother and his wife had separate Groupon certificates for the Milton Inn, and wanted to have dinner together this past Saturday night. But before we would make a reservation, I asked her if we could use both Groupon certificates toward our combined dinner tab, and she said "YES", that we could, so we made a reservation for this past Saturday night. To our extreme surprise and disappointment, when we submitted both separate Groupon certificates with our own separate credit cards, Peter our very nice and responsive waiter, came back to our table to inform us that he could only accept one Groupon certificate to apply to our combined dinner bill. After I told him of my conversation a couple weeks earlier with your staff member, and seeing that we were all obviously very upset, he offered to appeal our request to the Manager, for his reconsideration,. After a few minutes, Peter returned to advise us that this was Management policy that only one Groupon certificate per table is permitted, no exceptions, even in the case for payment of two separate bills by two separate individual credit cards on the combined dibber tab. However, Peter was told to inform us that every July, The Milton Inn hold its annual Groupon certificates Amnesty Event, where all such unused Groupon certificates will once gain be honored for their entire face value toward lunch or dinner at the restaurant. We have all been loyal long term patrons of The Milton Inn, and feel the application of only accepting one Groupon certificate per table even in the case for payment of two separate bills by two separate individual credit cards on the combined dibber tab.is a bit on cheesy and insulting to us as one of your long term patrons. The best fine dining restaurant around. Service is outstanding. Our server, Brian, was delightful; attentive and on his own picked up my Happy Birthday greeting to my friend and surprised her with a delicious dessert complete with candle - very nice touch. The only negative was a very boisterous table of women in the same dining room. I don’t know what a restaurant can do about that and we were seated as far away as possible from that table. I’m glad they were having fun, but at times it was hard to hear. Had an excellent meal at the Milton in. 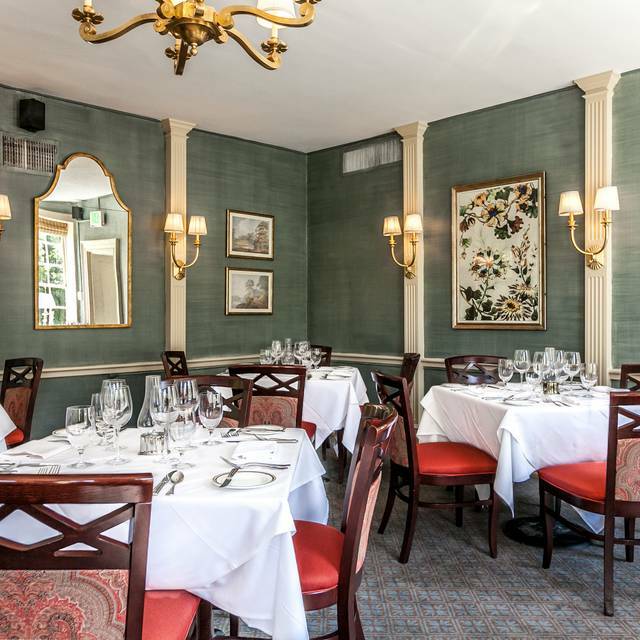 We sat in the C. 1740 lounge this time to try the small plates menu. We were very happy with our choice and will probobly sit there from now on. The oyster stew was fantastic. I understand that there is an ambiance factor and upkeep of an historic property, but the food is simply overpriced. We arrived early and we were told that the Chef doesn't allow guests to be seated early but we could wait in the bar. The bar was full of diners. Every seat was taken by people eating their meal, not just snacks and cocktails. It was awkward because it is a small space and there was no place to stand with the Servers and SA's hustling back and forth and, I am not going to order and retrieve drinks from the Bartender over someone's food at the bar. We returned to the front entrance to wait. We were seated about 10 minutes later at a table in the high traffic area. Servers back and forth to the bar, up and down the steps to the basement, back and forth to the kitchen. My husband said that it seemed like they jumped down the incline every time a server came from the bar and landed right behind him. Now, for the food - my husband ordered a cocktail, I did not. We split the smoked salmon, which they split for us in the kitchen and it was delicious. My husband had the Seafood Curry, which he would recommend highly. I had grilled salmon and added a lemon, caper, black olive beurre blanc sauce that had great flavor but, it was cold - like right out of the refrigerator cold. It was thick and cold and could not be poured or drizzled over the salmon. Definitely not worth a $4 up-charge. We heard so much about the jack tar potato, we ordered one. It was burned in the broiler so every bite had that burned food taste. To me, it tasted like instant potatoes that were served on a piece of very tough potato skin and then over-browned under the broiler. Again, definitely not worth the $9 up-charge. We also ordered asparagus spears that were every bit as good as what I make at home! We did not order dessert. In the end, it was almost $100 per person. You decide - worth it? Not to me. My only complaint is that my sons dessert was not gratis for his 21st birthday. Everything else was spectacular, and a good time was had by all. My party of three, for a business dinner, decided to choose many small plates for our dinner. I am a fan of small plates as it is fun to try other things and I never feel as full. The food was so disappointing....ugh. The lobster mac and cheese was dry, the beef tenderloin was tough, and the crab cake was disappointing. My salmon with risotto and mushrooms was so bad I ate only one bite. The salads were fine and the desserts were good.....and the wine was tasty. I appreciate the small plate effort but if you are going to do it....get it right. In addition, we asked for the paneled room with the FP, adjacent to the bar area, and we did'nt get it, with no explanation offered. The service was very good....wonderful, attentive waiter. My partner and I hosted three clients. The food and ambiance was excellent and the pastry chef made us a special St. Patrick's birthday cake to celebrate the amazing fact that four of the five of us were born on St. Patrick's day. Would definitely want to return. Everyone raved about the food and cake. Bottom line--everyone had a great time and thanked us afterwards. Our latest visit was for lunch to celebrate my husband's birthday. The restaurant is an hour and one half from our house but it was worth the trip. The menu was varied and it made choosing an entrée difficult, a good problem to have. We all were extremely pleased with our choices and we all cleaned our plates. The service was attentive but not oppressive, quick but not rushed. We look forward to going back in a few months. Dined on a recent Sunday afternoon. Our server, Sharyl, greeted us warmly upon arrival and was consistently attentive and professional throughout the evening. Whereas I was mildly disappointed upon hearing that cream of crab was not available, my NY strip "Oscar style" made up for this with a perfect cooked to order steak and some of the largest chunks of crab I've ever seen. My wife's lobster dish was excellent but the side crab cake was only average. The otherwise relaxing ambience (classical music as backdrop) was challenged at one point by an overly ambitious busboy who decided to fill glasses with ice using a very large and noisy water cooler container rather than taking the extra step to take the glasses out into the adjoining bar area for filling. Similarly, seating patrons right next to one another when the dining room has lots of open seating is a practice I wish would be more thoughtfully considered. In summation, a nice evening but with some missing touches. ‘‘This is an outstanding restaurant to dine. The food is exceptional and so is the service. Our waiter was outstanding and made our dinner an great experience. The chef makes dining here worth the cost. I might add, all the staff was exceptional. Very disappointed. We went expecting this to be a special experience considering the reputation. First, we arrived on time for our reservation, but we were told that they weren't seating that reservation time slot yet. They took us to our table 20 minutes late without an apology or explanation even though there were many empty tables. After being seated for 10 minutes, our waiter still hadn't come to greet us. We had to ask for him. He was very nice and personable, and he said that my friend's request for the sauce on the side with her entree would be no problem. It did not arrive that way and even though I encouraged her to do so she felt uncomfortable saying anything. The food itself was good, but in no way worth the price. We will not be returning. Always dependable. The best kitchen, the best ambience and the very best service. The entire experience was outstanding. Food was delicious. Service was excellent. A great place to go for a special evening out. Oh my goodness their new menu is outstanding!!! Don’t order the curry unless you like items spicy hot. I got the catfish and it was delicious!! They still have the old standbys (lamb and tenderloin with imperial crab) but the new menu items were intriguing and delicious. It’s been a long timing coming! So glad we tried it again. At one time our favorite for special occasions. On this night they were short two wait staff and service obviously suffered, though the gentleman working our table was outstanding, you can only do so much. Food was good, but when you consider the price you expect outstanding, which it was not, as opposed to other visits. Of course many have experienced Milton Inns ups and downs, we hit a lower point. Will we be back? Yes, but a second consecutive poor/weak experience will be our last. The food is always wonderful. My only issue is that I ordered a bottle of one of their March wines which was advertised at $36, but I had to pay $48 because I used a Groupon. There wasn't any indication that the price was a sale, only that the wine was being featured fr the month. $48 for a bottle of La Crema Chardonnay is vey expensive. We truly enjoy this place. It has become one of our absolute favorite places to go. The food never disappoints and the staff are amazing. It’s an experience that is a must. Superb in every way!! Emily, our server was simply, the best!!!! Oustanding food.